We get up the ladders and in the closets! Not sure which shade to choose? Struggling to differentiate between the matte, satin and gloss sheens? We’ll help you navigate the sea of options to find a color that matches your home’s interior aesthetic and stands up to your family’s daily routine. 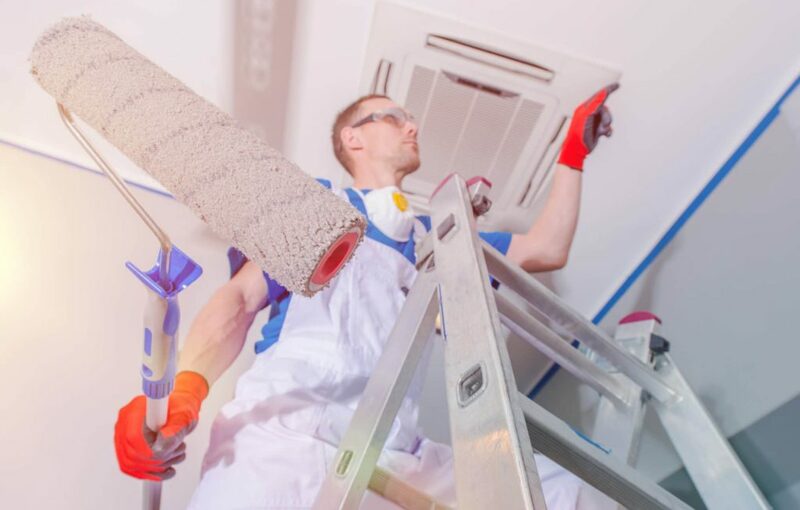 At Sierra Remodeling and Home Builders we offer a variety of interior and exterior home painting and staining services, including popcorn ceiling removal, wallpaper removal, power washing and preparation, stucco repairs and painting and your home’s deck and fencing. Regardless of the room inside your home that needs an update or the area of your home’s exterior that needs protection from Mother Nature, our team works with you to determine the best plan of action for your home. While popcorn ceilings had their time on top trends lists, they are rarely seen in modern homes. Removing a popcorn ceiling yourself can be extremely difficult. The crew at Sierra Remodeling is trained to remove popcorn ceilings in an effective way that will leave your ceilings feeling fresh. Power washing is an important step in the preparation of exterior surfaces to ensure the cleanest surface to apply house paint. Sierra Remodeling painting services can use different types of power washing depending on your home and the type of job. Power washing can be performed on wood, granite, asphalt, bricks, and aluminum. Exterior painting from Sierra Remodeling usually follows a five-step process: washing, surface preparation, painting, cleaning, and inspection. 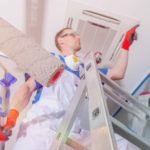 The first step, washing, is the foundation of the entire project to remove mold, oil, and old paint so new paint absorbs into your surface better. Power washing from Sierra Remodeling will prepare your painting project for success from the very beginning. Precision and professionalism from Sierra Remodeling will give your house the look and feel of a brand new home! Tattered and peeling wallpaper makes your home feel outdated or in need of maintenance. Don’t let that old wallpaper hold you back from getting your home painted. The seasoned experts at Sierra Remodeling are here to make sure you are not overwhelmed by installing new wallcoverings or removing old wallpaper for a new paint color. Our interior painting specialists provide expert installation of all types of wallcoverings to our homeowner customers. From natural fiber wallpaper to silk wallpaper, we can help you with all of your wallpaper installations. We also install hand painted wallpaper, vinyl wallpaper, foil wallpaper, flocked wallpaper, murals and decorative wall borders. We would be more than happy to help you select a wallpaper finish for your home. 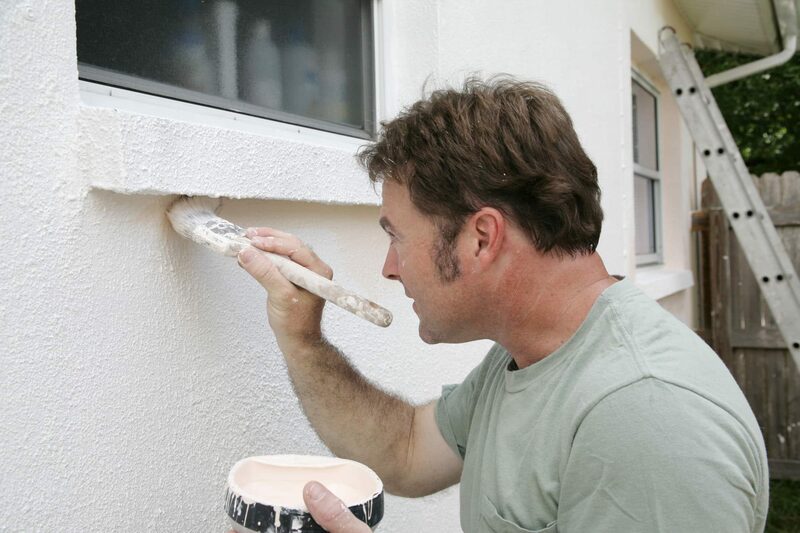 As with any other home exterior, it’s important to maintain the stucco or EIFS (also known as synthetic stucco) covering your home. The Sierra Remodeling paint team is very knowledgeable in both repairs and painting related to these two materials and will work alongside you to determine what services your home needs. Scott Miller/Project Manager who guided us through the work from estimate to completion and even checked on the work after it was done. David Tovares/Plumber extraordinaire. Tom Sprague/Carpentry & Drywall. Emilio Encinas/Trim & Finish Carpentry. Adam Hall/Painter who was so patient when we could not decide on the wall color. Shawn Abel/Labor. Dave Shank/Cultured Marble. This is a remarkable group of men who not only take pride in their work but are a delight to do business with. We are most pleased with our new shower and are grateful for the quality work done by these gentlemen. Please feel free to use your work here as an example of your quality work. 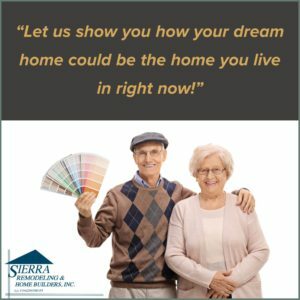 Ensure your huge investment remains sound while saving you money over the long term!Contact Sierra Remodeling today for the highest grade of home repairs.We proudly serve Sierra Vista and the surrounding communities in Cochise, Santa Cruz and Pima counties.Call (520) 459-3164 for your free home repairs visit or contact us online.